Family-friendly and well-built, our 2015 Dodge Grand Caravan SE shown in Granite Crystal Metallic Clearcoat is an excellent transportation solution that meets and exceeds your needs. Powered by a proven 3.6 Litre V6 that produces 283hp while connected to a smooth shifting 6 Speed Automatic transmission that offers a second overdrive to enhance fuel efficiency. This Front Wheel Drive Grand Caravan rewards its owners with over 9.4L/100km on the open road, translating to nearly 500 miles per tank. The needs of the family may be a simple trip to school or getting all the gear to the game, either way, you will appreciate the soft-touch materials in the roomy and well-built cabin of the SE. Versatile seating and cargo bay configurations along with heated mirrors, a front floor console, and tri-zone air-conditioning are necessary conveniences for the daily routine. The best-selling minivan of all time, it's adaptable, practical and right up your alley. Why purchase a used car from DRIVEN CARS CANADA: We make it easy, simple and painless. 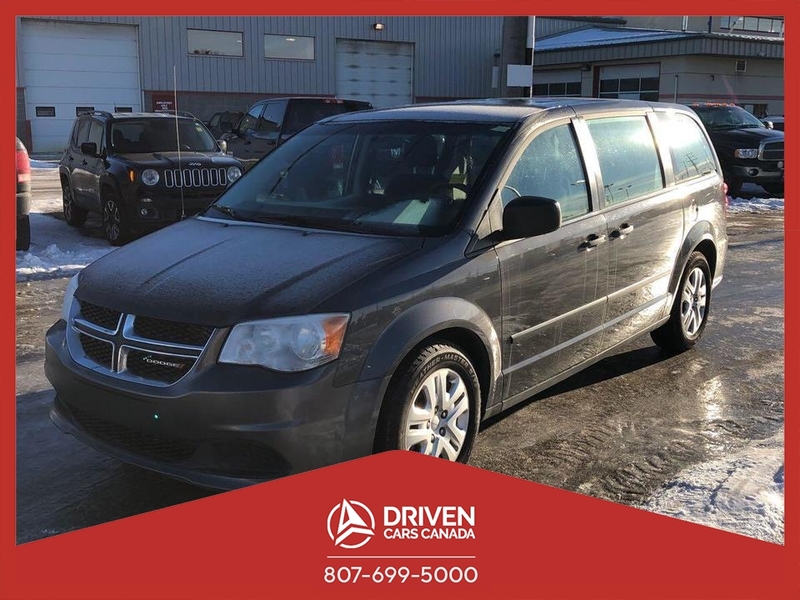 This 2015 Dodge Grand Caravan SE also comes with a 30 day/500km warranty covering any pre-existing repair.